Buying a property for the first time real estate investors seem an intimidating task. The reason is obvious- your huge sum of money is involved. The following article shares some important factors that you should consider at the time of investing in real estate. Do the thought to buy a property or enter into a real estate investment perplex you? Are you still wondering where to start from? No problem if you are a first time investor. 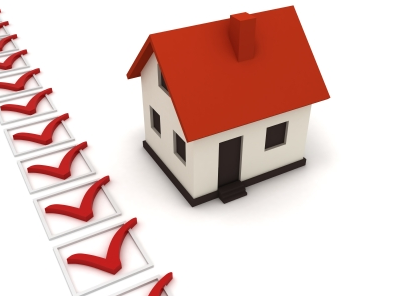 Here’s a checklist of what you should consider at the time of buying a property. What type of Property Serves Your Need? Before you start your property search, the first step towards your real estate purchase is to be aware about your need to purchase a property. Know whether you are looking for residential or commercial property? Say, if you want to buy a residential property, you should be clear about the type of property you want to buy- a condo, a 2 BHK flat, a bungalow, or a luxury villa. What Specific Amenities and Features You Are Looking For? You can make you property buying experience a less time taking task if you are clear on your preferences for the facilities you are looking for. Say, if you need a club house, swimming pool, gymnasium and power backup in your residential apartment, the search should be in that direction only. Look if the neighborhood, location and other things meet your expectation. It is crucial to know how much money you can afford at the time of buying a property. You can determine the amount you can afford by calculating your income, expenses, taxes and credit score. It not only helps you to decide your budget, but also gives an idea that how much you may need to apply for home loan. Do You Have the Sufficient Real Estate Information? It is not at all necessary that you should be an expert in the real estate dealings. However, for your own benefit it is crucial to gather the information about the changes in the market. This can be done by considering a real estate agent, reading newspaper or visiting real estate online portals. Are You Aware about All the Options Available? For the first time property buyers, it is imperative to be aware about all the possible options available under his/her budget. When you are aware about several options, it helps you to take the best property deal in terms of affordability, preferences, locations and terms. Are You Aware About Your Credit Score? Purchasing property is no doubt an expensive deal and requires a person to look for home finances. It is where the need to know your credit score arises. It is a credit score or report, which is maintained by the leading three credit agencies, namely Equifax, Experian and Trans Union. Such reports include all the details about your credit history and play a crucial role in approving your home finances. So, do not forget to keep a copy of your report. Use these tips to demystify the difficult and time-taking process of purchasing a property. So, are you ready to make your first home buying experience a memorable and happy deal? Next story Is Grad School Worth The Financial Commitment?